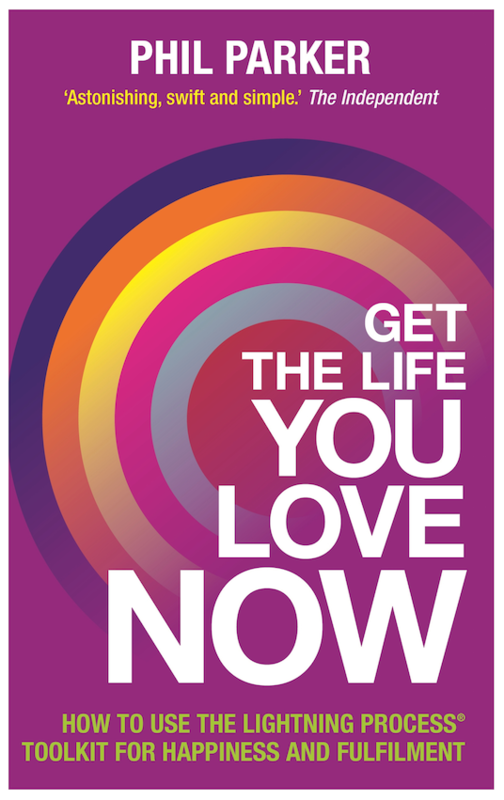 THE BOOK | Get The Life You Love NOW! Phil’s long awaited book based on the Lightning Process, covers everything you need to know to get more happiness and fulfilment. – choose a new future – and make sure that it happens! Based on two decades of research and Phil’s world-changing Lightning Process®, Get the Life You Love, Now takes you step-by-step on an amazing journey of self-discovery unlike anything you’ve ever experienced before. I am deeply inspired by Phil Parker. His work is illuminating and practical. In Get the Life You Love, NOW he reveals what you really need to “du” to experience a life you love. Robert Holden, author of Loveability and Shift Happens! Given that 90 per cent of doctor’s visits are the result of stress, stress-reducing techniques like the ones taught in Phil Parker’s book can be not only life-saving, but happiness- saving. With power tools aimed at helping you unravel limiting beliefs and self-sabotaging behaviours that keep you from thriving, this book is just what the doctor ordered.